After attending a spin class at Cycle Bar Lone Tree, a collection of students and faculty pose outside the bike studio March 2. 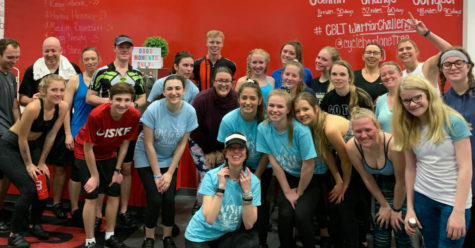 French National Honor Society sponsored the spin class as a way to raise money for Wish Week. 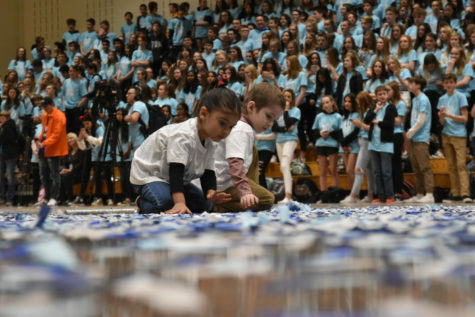 Bikes were $25 a person and FNHS raised $550 from the 45-minute class. 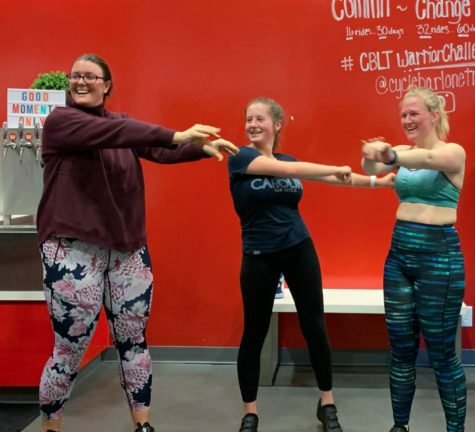 Langauge teacher, Alexis Savas, Amanda Brauchler ’21 and Emily Wilding ’20 demonstrate the dance to “Logobitombo.” The song is similar to the cupid shuffle, but in French, because there is a coordinated dance to the lyrics. 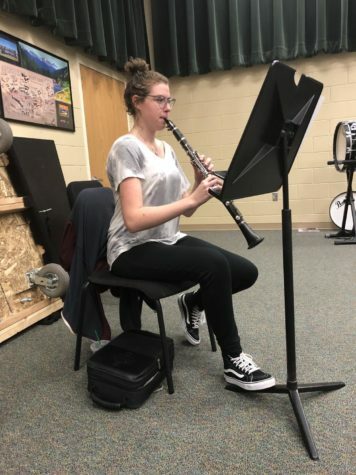 Students demonstrated the song to the Cyclestar instructor after she asked what the song was. 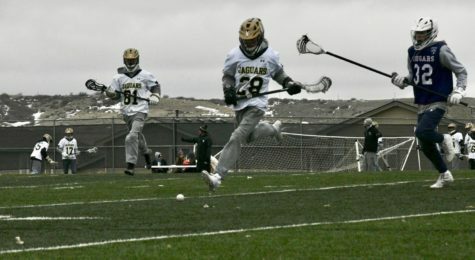 JV boys lacrosse player Ryan Grafitti ‘22 runs to the ball to beat his defender in the second half of the Cherokee Trail scrimmage on the turf field March 2. As part of fundraiser for their teams, the boys sold tickets for ten dollars each for the sandwich food truck during the scrimmages. 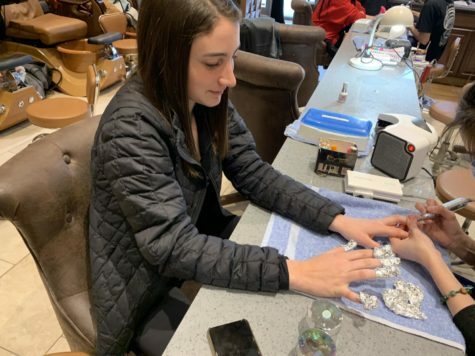 Sammy Cutone ’21 has her nails soaked in acetone before she gets new powder colors at Magic Nails in Lone Tree March 2. Cutone got a different shade of blue on each nail in honor of Wish Week. 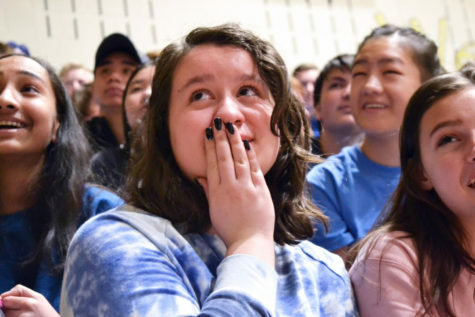 “When people ask why my nails are different shades, I can tell them about Wish Week and the awareness we are bringing to the foundation,” Cutone said. 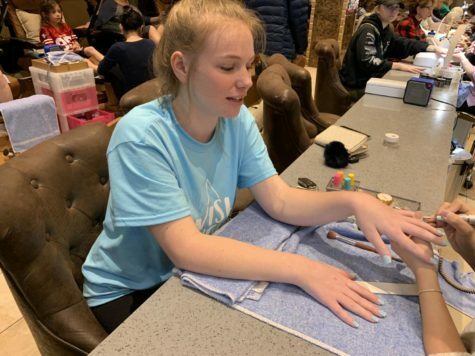 Nichole Loomis ’20 gets her newly blue-colored nails filed as a final step at Magic Nails March 2. 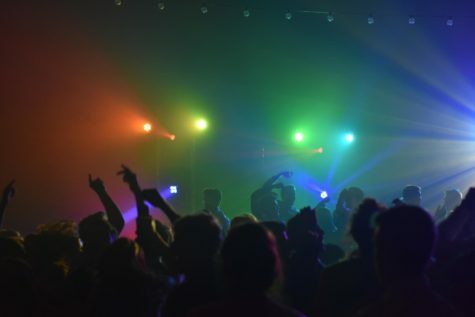 Loomis went to Magic Nails after attending the Spin for a Wish fundraiser that French National Honor Society sponsored. 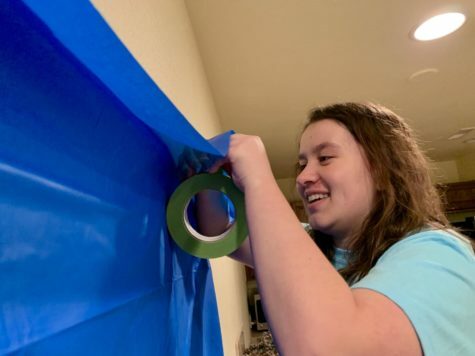 RCTV member, Sara Smith ’21, hangs decorations as the set for her Wish Week video March 3. 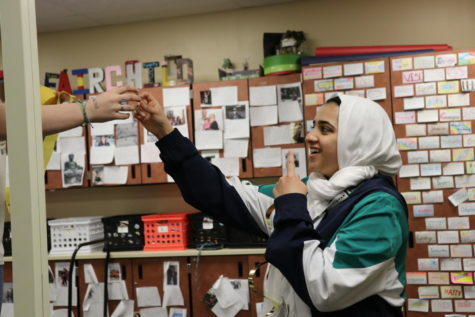 For their broadcast Wed. March 6, Smith and her group created a parody video of Ariana Grande’s “7 Rings” for Wish Week. 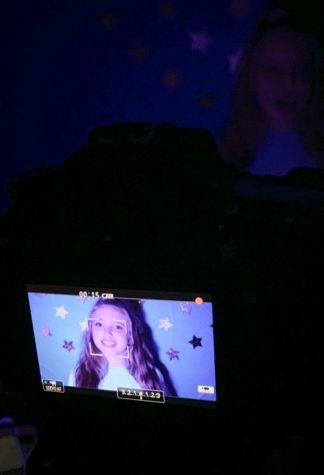 While filming for her Wish Week parody of “7 Rings,” for RCTV, Megan Tuin ’21 poses in front of the camera while the tripod is adjusted. 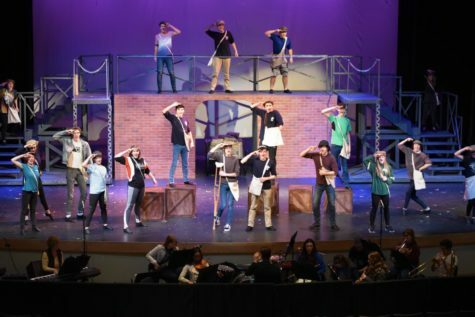 Turn and friends filmed for two hours, using only their background and a color-changing lamp as their set. 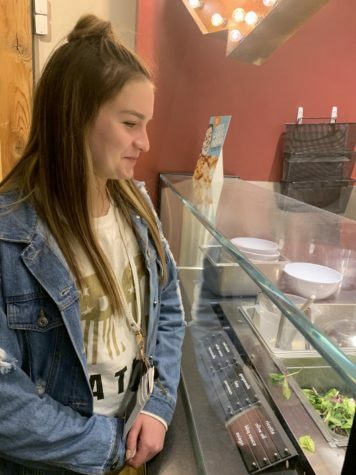 As a contribution to Wish Week’s fundraiser at MOD Pizza in Highlands Ranch, Lauren Hornick ’21 orders a mini pizza March 3. Hornick waited in line for nearly 20 minutes to finally order and donate to Wish Week.